They say love is life…and if you miss love, you miss life. 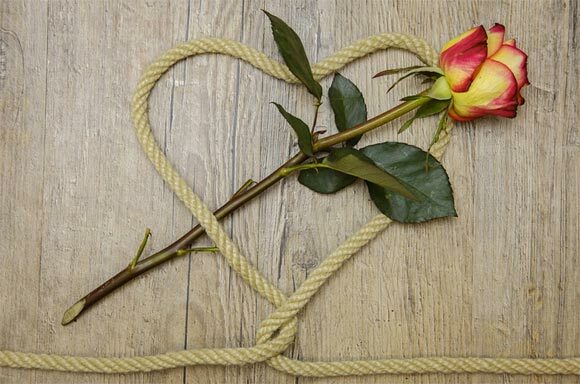 However, while your love life may or not be coming up roses…there is one thing you can have more control over… and, that’s bringing a touch of romance to your surrounding living environment! Read on for the romantic redesign- adding a dash of magic back to your interiors. If the eyes are the window to the soul, than window coverings surrounding an outside light source are analogous to a trim of lashes – and, you’ll want them to be the most flattering, luxurious frame you ever did see! Your choice of window covering can really impact the mood and tone of a room, take these refined and elegant roman blinds, for example. Almost as romantic as a ‘roman holiday’, charming tailored fabric folds really set the scene. Blockout blinds are perfect for the most sensual slumber, while slim sustainable wooden strips minimise light leakage for the most delightful of dining room dalliances. Setting a romantic scene (when it comes to interior decorating) is a lot about lighting (or lack thereof) and when it’s time to turn the lights down low, well… you get the drift! LED light switches are the perfect (and fire safe) way to achieve an ardently ambient glow. At literally the flick of a switch, you can create atmospheric lighting (some variants even have the option to control the situation from an iPad or at the mere tap of a finger). How’s that for smooth? For those who are wont to have their passion spill forth like a raging torrent; there can be no limitation to the expression of their creative and artistic tastes. When translated to the realm of interior decorating – this is manifested in the most ornately opulent of design elements – think magnificent fireplaces, botticelli-esque fountains/statues and the most of exotic of soft furnishings. The perfect piece de resistance? A vintage chandelier, of course. Possibly also consider including a velvet chaise (to drape oneself around in the languid fashion of a casanova). There’s a lot to be said for wearing your heart on your sleeve, but how about wearing it on your walls? And, by that I mean showering your interior with photos, prints and other nostalgic images that display what (and, who) you love most. Whether it’s friends, family, or even your pets… framed displays of sentiment are a great way to provide a real sense of warmth and a touch of the personal to your living environment. For the true romantic – how about framing some heartfelt words, memorabilia or even a floral arrangement with a particularly poignant message? Nothing spells sensual quite like the waft of a truly divine fragrance. Aroma is a powerful psychological motivator and warm, spicy scents can be a real turn on to some. Even if you are into cleaner, crisper scents – there is a lot to be said for the desirability of a pleasant smelling living environment. Nothing is quite as romantic as candlelight, especially when it has a dual benefit in intoxicating the senses. Be forewarned, the scent of quality candles, diffusers and similar aromatherapy products may stimulate one’s olfactory glands into a state of heavenly ecstasy! We think you will find that adding a dash of magic back to your interiors is sometimes much easier than romancing a new love interest. Assuredly, in following the above tips – you will find yourself loving your living environment as passionately as any possible suitor! Life (and love) is, afterall… all what you make it.